This topic contains 60 replies, has 6 voices, and was last updated by Boep 1 month ago. my long time goal is to be able to draw the human body from imagination. for those drawings I usualy start with 30 sec and go up to 3 min sesions. I would realy like some feedback, any critic is more than welcome. Boep edited this post on October 1, 2018 9:05am. Boep edited this post on October 1, 2018 9:15am. First time giving a critique here, but here it goes: This is good effort, and exactly what I would expect from short sessions like this. Overall proportions look fair to me, and well done on drawing limbs in perspective - llike pointing forwards. 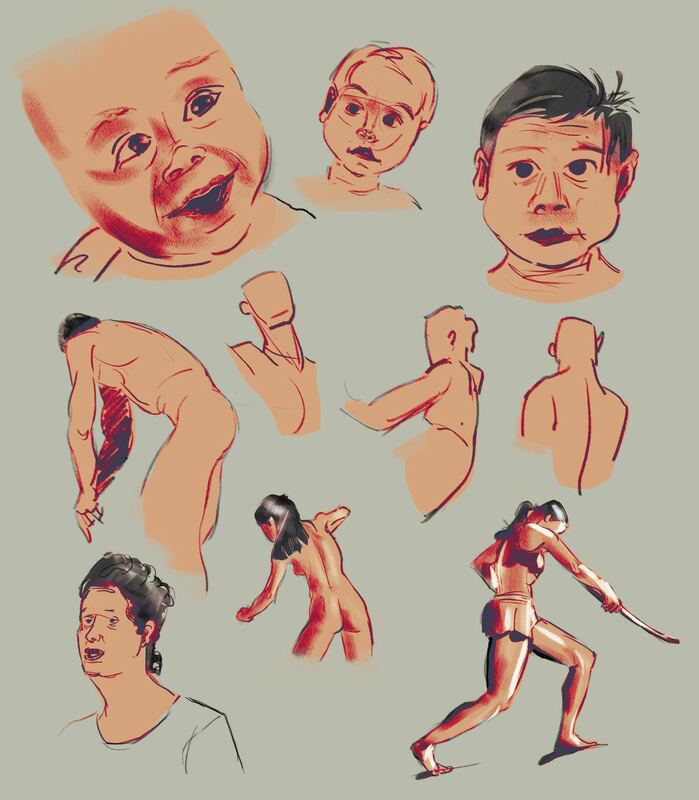 Many people would consider it the more difficult part of drawing human body, but you've got it covered. 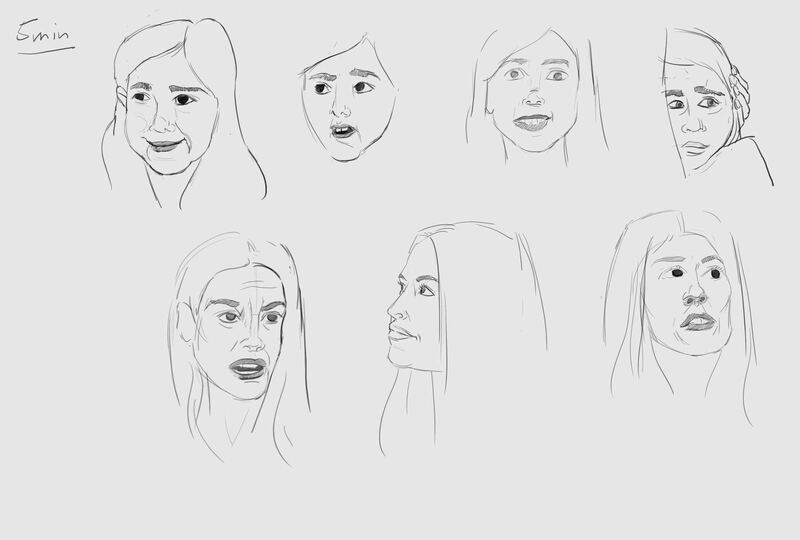 I'd encourage you to keep practicing drawing from images and life - and look more than you draw. There are just tiny details that look a little off, which can likely be attributed to short drawing sessions more than anything else. Curves around the human body are rarely uniform, e.g. shins willl have a sharper curve at the top and taper down. It's noticeable on some of the sketches especially around thighs and sides of the chest. Other than that, perhaps try to have more space between the drawings, and use more sheets of paper. That way it's easier to see individual sketches, and also you don't feell like you need to shrink a sketch or cut off a bit of it to fit it in the availablle space. Overall: welll done, and keep goinng! you're doing great. I think it is a tendency I have to oversimplify the form, I'm looking at work by illustrators like Shane Glines, trying to understand how to describe the human form in elegant and simple curve, while keeping the details. you are right in that while doing these practice session I should observe more closely the images and avoid uniformity. 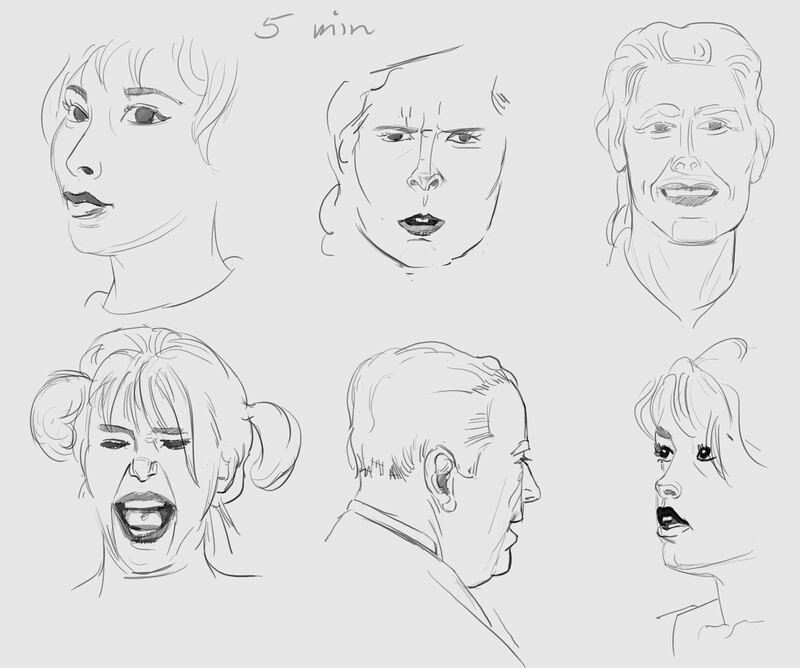 Here is a longer drawing session 3-9 min each. You’re not marking these with how long you spend within the set. That’s something I find very helpful in evaluating my own work. It doesn’t have to be super rigorous just something so we have a clue if the poses are a consistent length or variable. Often I’ll go through a class session and mark the best out of each time segment. With how my brain works, I don’t do well freely choosing the drawing time. It’s much better to have a teacher or the computer or a timer to help me set limits. These feel like you’re drawing fairly small. The lines can be choppy or have restatement that isn’t helping the image, and is working against your goal of smooth curves. Maybe not as small as it shows on screen, but definitely more towards pocket notebook size than full sheet or half sheet. Mix it up some. It’s very easy to get stuck in a rut dictated by a particular paper size. The kind of sweeping curves you are shooting for take space. Lots of it. Also those big sweeping curves can do a lot to suggest lighting. 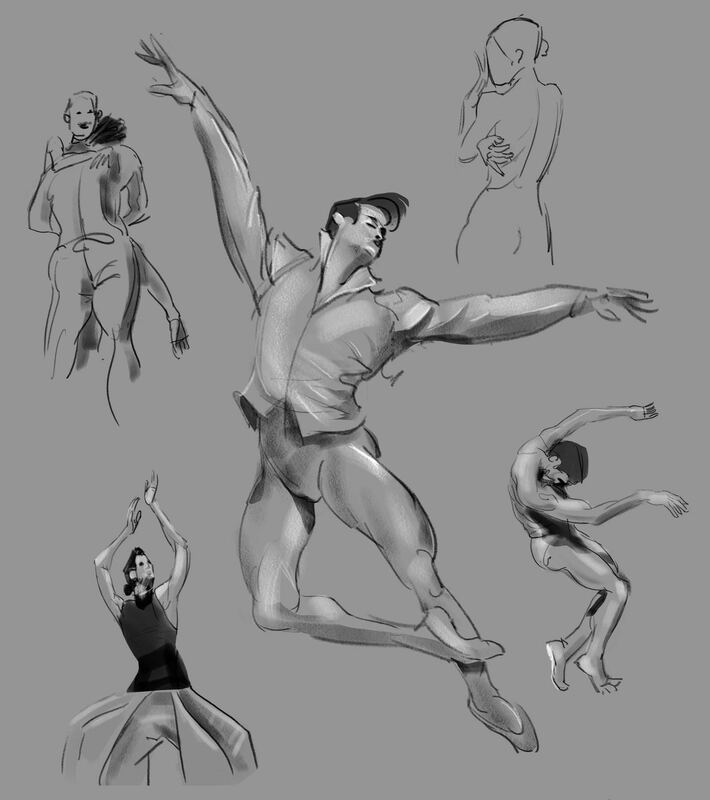 Lighting is a big issue in drawing imagined figures. The lighting in these feels very flat and glaring, like pop up flash. And unless you’re doing specific kinds of product photos that’s basically always the wrong light. The way you are sometimes silhouetting the hair is interesting. Those figures tend to feel more lively. The set on Oct 1 are particularly noteworthy because overall you showed a lot more thought about line weight, lighting and silhouette interacting. 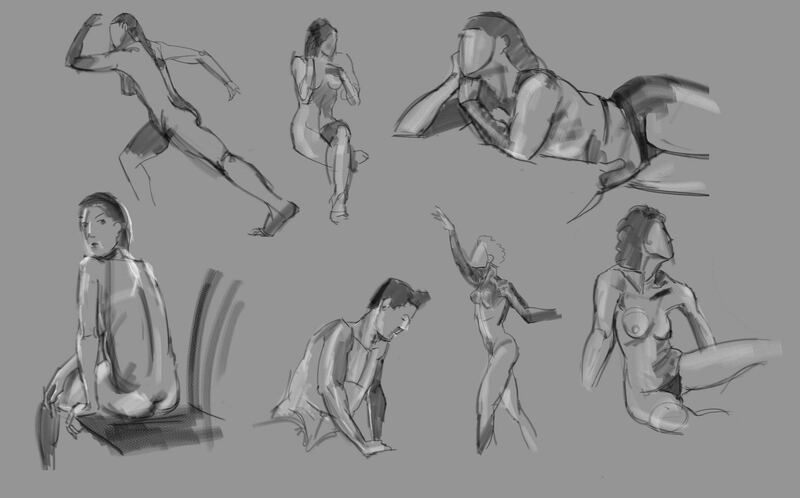 Hi Torrilin, I usually do a few 30 sec sketches to warm up, then go into 3 min session, but few of the full body ones I double the time by going back to the picture, they are the ones who are not missing a limb or a head. 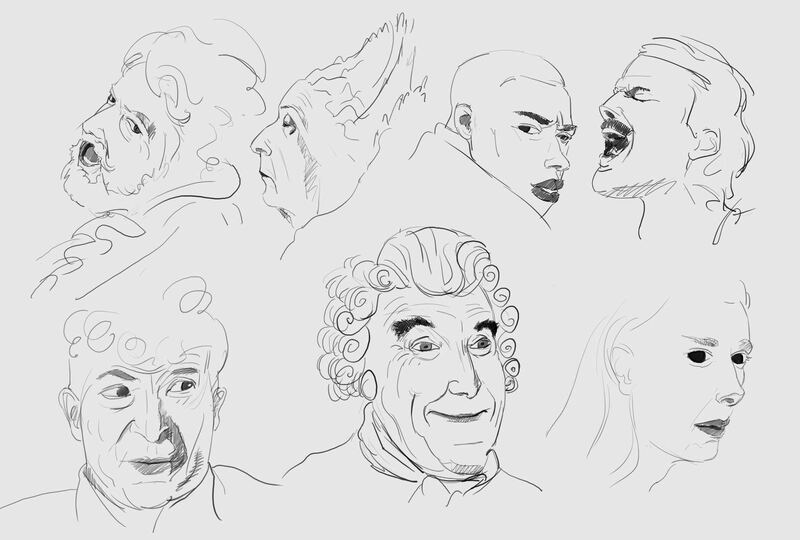 For the sketches posted above I used a small 12 inch cintiq, wish I could afford a bigger one. the actual canvas size is 3 time larger, I downscale it so it will fit in here. as for the choppy lines, they are certainly something I'm trying to overcome, I'll put more effort into it. I don't think I understood your remark regarding the lighting, if you could give me an example it would be great , thanks. 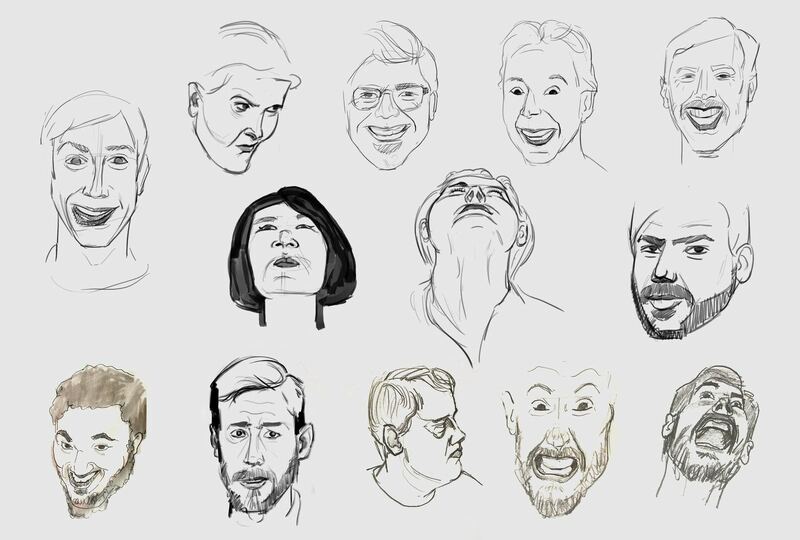 these expression drawing are 5 min each, the bottom raw was sketched with pencil on paper, the top ones in Photoshop. top raw 5 min session, bottom raw 7 min, trying to capture the mood. frames from the movie orlando. Boep edited this post on October 8, 2018 6:12pm. Boep edited this post on October 8, 2018 6:15pm. 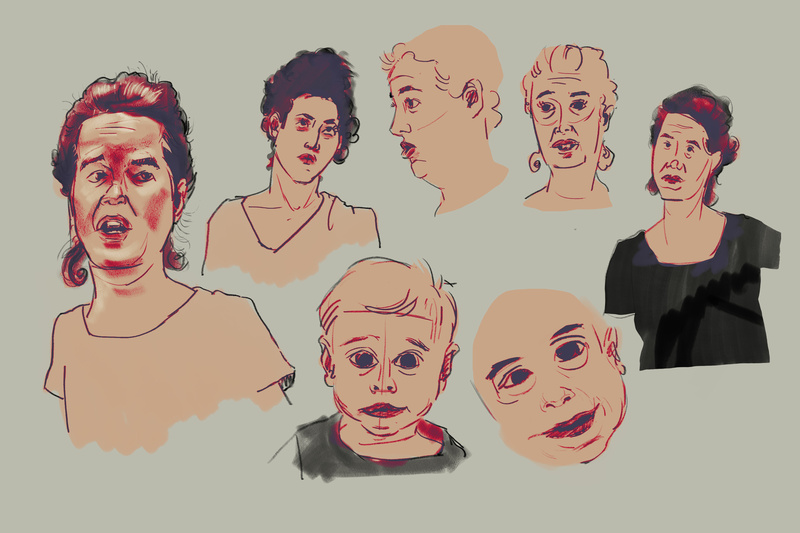 trying to add some light and shades, 10 min sessions.